Ariana Grande-Butera was born on June 26th, 1993 in Florida. Better known as Ariana Grande, the American singer and actress began her career at 13 on Broadway, before landing the role of Cat Valentine on Nickelodeon TV show Victorious. So what’s her Star Sign Style? Ariana has Sun and Mercury in the soft, sentimental sign of Cancer, giving her a gentle, protective aura. 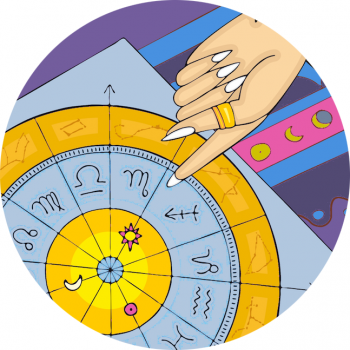 Cancerians are ruled by the moon, and often attuned to what people need – including the collective needs of people. Those born under the sign of the Crab often make fantastic designers or work in the field of trends, because the simply know the ebb and flow of what appeals to the masses. The recent terror attacks will shock this star to the core, and she’ll feel particularly hurt on behalf of the victims – her brood of followers. So, so sad. Ariana was born with beauty planet Venus in the steady sign Taurus – a zodiac sign ruled by Venus. Taurus has a graceful perspective on dress and aesthetics – Ariana has a natural affinity with the arts. Coupled with the congenial moon in Libra, this star has a definite advantage when it comes to appearances, as Libra is the other constellation in the zodiac with boosted beauty power, courtesy of Venus. While Taurus is the sign of the senses – taste, touch, smell and an added appreciation of the material tangible world, Libra rules social graces, love relationships, fashion and architecture. This sign of balance needs to feel that all is well in the world, in perfect harmony – that everyone is ‘getting along’ – another reason this latest tragedy will shake her to the core. A noticeable feature of Grande’s natal chart is the pairing of the moon and expansive Jupiter conjoin the moon, creating a bountiful or ‘grand’ sweet emotional appeal for the singer. The feminine moon represents our mother, where we’re from and our heritage and roots, and I love that Jupiter and the moon are expressed in her last name. Taurus governs the neck and throat area, and having a highlighted Taurus constellation is often found in the birth charts of talented singers. Those with Mercury in Taurus can often have good singing voices and Venus is no exception. The Manchester bombing has come at a time when Pluto, planet of death and destruction is passing over the Neptune-Uranus pairing of a generation born in 1993. If the time of 9.16 pm is correct, Pluto would be about to pass over Ariana’s Capricorn ascendant, which means she’ll embody the loss of this horrendous act for some time to come.